The Talmud actually discusses what to do if one is uncertain which day of the week it is: “Rabbi Huna said: If one is traveling on a road or in the wilderness and does not know when the Sabbath is, he must count six days and observe one. Hiyya ben Rab said: He must observe one and count six [weekdays]” (Shabbat 69b). Make the celebration of Shabbat a regular part of your weekly schedule. While lighting Shabbat candles is generally considered a “woman’s mitzvah,” and is traditionally performed by the woman of the house, it is actually an obligation of the entire household. If a man is living alone or the one who usually lights is away, candles must still be lit. In fact, the Talmud encourages every husband to be involved in preparing for Shabbat and assuring that the Shabbat candles are properly arranged. Many men, therefore, have the custom of preparing the candles for their wives. Tradition states, however, that the connection of Jewish women to candle lighting dates back to the matriarch Sarah. According to the Midrash (cited by the great sage Rashi on Genesis 24:67), a candle burned miraculously in Sarah’s tent from one Friday evening to the next. When she died, the candle and its glow vanished. When Isaac’s bride Rebecca moved into Sarah’s tent, however, the miracle of the light returned. Just as the matriarchs lit a candle on Friday evening to welcome Shabbat, so too have Jewish women welcomed Shabbat with the lighting of the candles, from ancient times until the present. Light Shabbat candles this week in recognition of Shabbat Across America and Canada. Remember the Sabbath Day to keep it holy (Zachor et yom HaShabbat l'kadsho - Exodus 20:8). This commandment alludes to all the positive mitzvot of Shabbat, such as reciting kiddush, eating a festive meal, etc. But “Remembering Shabbat” also refers to the constant focus of the Jewish people on Shabbat - underscored by the fact that in Hebrew the days of the week are called: The First Day of Shabbat, The Second Day of Shabbat, The Third Day of Shabbat....Shabbat. The days of the week count up to Shabbat, just as Jews spend their week looking forward to and preparing for Shabbat. *Look ahead to March 1, 2013, and make plans to attend Shabbat Across America/Canada at a location near you. This Treat was last post on March 4, 2009. Look ahead to March 1, 2013, and make plans to attend Shabbat Across America/Canada at a location near you. This Treat was originally published on March 9, 2012. Share your extra hamantashen with your co-workers. "A person should drink on Purim up to the point where they cannot tell the difference between ‘Blessed is Mordechai' and ‘Cursed is Haman'” (Megillah 7a). This Treat was originally published on March 8, 2012. *This Treat was originally published on March 2, 2012. When Esther reveals Haman's plan, she puts all of the blame on Haman. In truth, Achashverosh also had evil intentions like Haman. But since Achashverosh was both the king and her husband, Esther allowed him to make the decision to overrule the plan, rather than embarrass him. This Treat was last posted on February 16, 2010. If you cannot attend a reading of Parashat Zachor, read it in your home or discuss the significance of Amalek on Jewish history during your Shabbat meal. This Treat was last posted on March 2, 2009. Bring a noisemaker to Megillah reading, but make certain to stop any noise-making in a timely fashion. If the 13th of Adar occurs on Shabbat, (as happens this year) the fast is observed on the Thursday prior. Thus Ta'anit Esther will be observed this year on Thursday, February 21, 2013. This Treat was originally posted on March 6, 2012. This Treat was originally posted on March 1, 2012. Arrange your schedule for tomorrow so that you can break the fast after sunset. Mishloach Manot/Shalach Manos - Sending Gifts - On Purim day, every Jew should to give at least one Mishloach Manot gift containing at least two different types of ready-to-eat food items. This Treat was last published on March 5, 2012. This Treat was originally posted on March 14, 2011. As the only territory completely under the control of the Federal Government, it is not surprising that Washington, D.C. is home to the only synagogue whose existence was enacted by an Act of Congress and signed by a U.S. President. The initial meeting to establish a Hebrew Congregation in Washington was held at the home of Mr. H. Lisberger. The notes of that meeting, as well as numerous other documents of the congregation, were written in German, revealing that a majority of the original members of the Washington Jewish community were immigrants from Germany. As they came from a region where Jewish communities were autonomous bodies existing at the beneficence of the municipality, it was natural for them to be concerned about whether or not a Jewish community would be permitted to own its own property. The members of the fledgling Hebrew Congregation therefore petitioned Congress for an Act on Incorporation. Not long thereafter, the “Act for the Benefit of the Hebrew Congregation in the City of Washington,” was signed by President Franklin Pierce. This act granted the Hebrew Congregation the rights, privileges and immunities that were already granted to Christian churches. When the Hebrew Congregation was large enough and sufficiently established to purchase its first building, the congregation chose to follow the custom of the German Reform movement and installed an organ to accompany their choir. This choice created a schism in the community and a breakaway congregation established Adas Israel Congregation. As today is Presidents Day, it is interesting to note the Hebrew Congregation’s connection to three other U.S. Presidents. The cornerstone of the Hebrew Congregation’s second location was laid by President William McKinley in 1897. President Harry S. Truman laid the cornerstone of the congregation’s current location in 1952, and the building was dedicated by President Dwight D. Eisenhower in 1955. 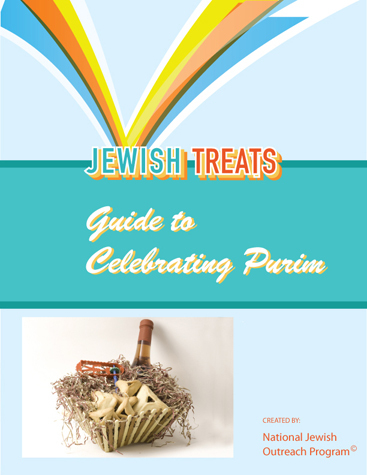 Prepare for this Sunday's Purim celebration by downloading Jewish Treats' Complete Guide to Celebrating Purim. Commit to your Jewish heritage by celebrating Shabbat. On the 4th of Adar 1307, the Maharam of Rothenberg was buried in the Jewish cemetery in Worms–fourteen years after his death. The rabbi’s remains were released from the fortress of Ensishem when a ransom was paid by Alexander Suskind Wimpfen, who asked only that he be buried next to the Maharam. The Maharam of Rothenberg’s actual name was Rabbi Meir ben Baruch (Maharam is an acronym for Moreinu Harav Reb Meir). He was born around 1215 in Worms, Germany, and was part of a family of Talmudic scholars. In time, Rabbi Meir became the leading rabbinic authority among Ashkenazi Jews. The Maharam corresponded with Jews throughout Western Europe - answering legal questions and giving them guidance. In 1286, King Randolph I of Germany declared the Jews of his kingdom to be “serfs of the treasury,” in effect, declaring that the Jews were to be the possessions of the king. The Maharam and his family decided to leave and make their way to the Holy Land. Things went smoothly until Lombardy, when an apostate Jew identified the Maharam to the Archbishop. The Maharam was imprisoned in Ensishem on the charge that, as “property” of the king, he broke the law by leaving. King Randolph demanded an exorbitant ransom. The Jewish community managed, with great hardship, to collect over 20,000 marks, but the Maharam instructed them not to pay the ransom. As important as the mitzvah of redeeming captives is in Jewish law, if the community paid the ransom it would encourage other rulers to imprison rabbis and extort funds from them. Provide your loved ones with a proper and dignified Jewish burial. For more about Jewish burial, click here. It appears that Mordechai remained in Shushan and became one of the members of the Sanhedrin (for which he was required to know 70 languages and was thus able to understand the whispered plotting of Bigthan and Teresh against the king. Follow the advice of Jossie ben Joezer of Tzeredah, who said: "Let your house be a meetinghouse for the sages and sit amid the dust of their feet" (Pirkei Avot/Ethics of the Fathers 1:4), and build a relationship with local rabbis and teachers. Honor Jewish heroines by sharing their stories. The month of Adar, the twelfth month of the Jewish calendar year, begins today. The Talmud (Ta’anith 29a) states:“Mee'sheh'nichnas Adar, marbin b'simchah," With the beginning of Adar, rejoicing is increased. * Some ancient walled cities, and Jerusalem, celebrate on the 15th of Adar. This Treat was last posted on February 24, 2012. Purim will be celebrated two weeks from yesterday. Find out what Purim celebrations will be taking place in your community. This Shabbat is Shabbat Shekalim, the Sabbath of Shekels. The Torah portion that speaks of Shekalim (Exodus 30:11-16) is read as the Maftir portion after the regular weekly Torah reading has concluded. It refers to God's commandment that a census of the Jewish people be taken by the donation of a half-shekel, rather than by a head count. Additionally, the section of Shekalim reminds us that Purim is soon at hand (Adar 14-this year, February 23/24). The wicked Haman offered Achashverosh 10,000 silver pieces for the right to destroy the Jews, assuming that his silver pieces would off-set the sum total of the Jews' half-shekel donations in the wilderness. Thankfully, he was wrong! This Treat was originally published on February 17, 2012. Wish all of your Jewish friends and colleagues Shabbat Shalom. Malachi’s first prophecy is a dialogue between God and Israel. The people questioned God’s love for them. God responded, “And your eyes shall see, and you shall say, 'The Lord will be magnified beyond the border of Israel'” (1:5). But, God then went further, charging the Children of Israel that, although He wants to be a kindly father to them, they have spurned Him: “A son honors his father, and a servant his master: if then I be a father, where is My honor? and if I be a master, where is My reverence?” (1:6). In particular, the people have practiced the great sin of offering “polluted” sacrifices, animals that should not have been considered fit for the altar. After condemning the wickedness of the priests, Malachi rebuked the people for taking foreign wives, and, at the same time, for callously breaking faith with the wives of their youth. "Remember the law of Moses My servant, which I commanded to him in Horeb for all Israel, with the statutes and judgments. Behold, I will send you Elijah the Prophet before the coming of the great and dreadful day of the Lord: And he shall turn the heart of the fathers to the children, and the heart of the children to their fathers, lest I come and smite the earth with a curse" (3:24-24). Other "What's In The Book"
When you put effort into performing a mitzvah, make certain that you do it properly. For instance, when you pay a visit to someone who is ill, pay attention to being sensitive to whether the visit is wearing on them. Leaders of the early German Jewish community, however, set a three hour standard. It has been suggested that this standard came into practice because of the short winter day in Germany. Because of the early nightfall, many people ate their meals earlier and thus there were only three hours between major meals. The three hour waiting period continues to be the practice of most Jews of Germanic lineage. Uniquely, the Dutch community accepted a standard of waiting only one hour. No matter one’s custom, the period of time that one must wait after eating meat and before eating dairy begins from the moment one stops eating meat and not the time that the meal concluded. *Rabbi Moses ben Maimon/Maimonides (12th century, Spain/Egypt). Plan ahead. If you know you will want ice cream, enjoy it early in the day if you are having meat for dinner. It all began in December 1975, when Rabbi Ephraim Z. Buchwald, then the Educational Director at Lincoln Square Synagogue in Manhattan, launched the now acclaimed "Beginners Service." As the Beginners Service grew in popularity, Rabbi Buchwald introduced several other innovative educational programs to draw unaffiliated Jews to the synagogue. His most popular programs were Turn Friday Night Into Shabbat, the Hebrew Reading Crash Course and what eventually became known as the Crash Course in Basic Judaism, which sought to make the synagogue experience and Jewish life more welcoming to the unaffiliated. In the Fall of 1987, Rabbi Buchwald decided to replicate his outreach experiences and programs in synagogues across North America. From his own experiences, Rabbi Buchwald understood how challenging it was for synagogues to attract new members and continue to inspire their congregations. Together with Beryl Levenson, he founded the National Jewish Outreach Program (NJOP) to not only provide synagogues with basic course materials, but to also help them attract new members. NJOP was a new adventure, an organization that was created to help synagogues and Jewish organizations of all denominations inspire Jews from every walk of life in the hope of revitalizing North American Jewry. In the decade that followed, NJOP transformed both the Hebrew Reading Crash Course and Turn Friday Night Into Shabbat into the highly successful continental campaigns known as Read Hebrew America and Canada and Shabbat Across America and Canada, respectively. Numerous additional programs have been added to NJOP's roster, and NJOP's programs have now been offered to almost 1.4 million North American Jews and to hundreds of thousands of Jews in 39 additional countries. In 2008, NJOP entered the world of social media with the creation of its Jewish Treats/JewishTweets brand. Not only was NJOP one of the first major Jewish organizations to have a Twitter presence, but Jewish Treats has continued to gain in popularity through all of its online venues. Tonight, NJOP celebrates its 25th anniversary at its Annual Dinner in New York. Congratulations NJOP! In honor of NJOP's 25th anniversary, help support Jewish Treats, either through a contribution and/or through sharing your daily Treats with friends and family. A segulah is an action that is reputed to lead to a change in one’s fortunes. For instance, acting as the kvatter (the one who brings the baby into the brit milah/circumcision) is purported to be a segulah for fertility. Or, wearing the jewelry of the bride while she is under the chupah is said to be a segulah for finding a husband. There are also special segulot related to prayer. Both reciting the Song of Songs daily for 40 days and praying at the Western Wall every day for 40 days are reputed to “shake the rafters” of Heaven, increasing the likelihood of a favorable response. One can certainly find an abundance of segulot. While some have a strong basis in tradition, others are old wives’ tales--and the rest fall somewhere in between. In choosing to do any segulah, be certain to check that it has a source in Jewish tradition, and always remember that the most important purpose of the segulah is drawing closer to the Divine, and not just changing one’s situation. The greatest joy in Judaism is meant to come from creating a relationship with God. Whether it be prayer or rituals or good deeds, seek out that which helps you create a relationship with the Divine. 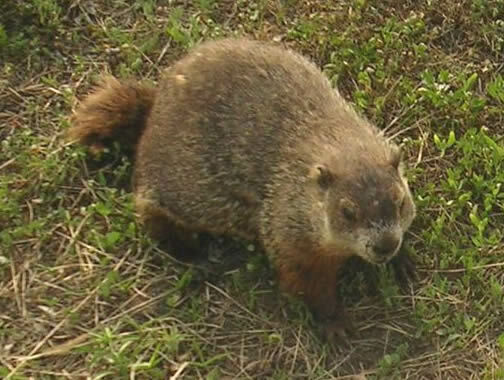 Tomorrow, February 2nd, is Groundhog Day, when thousands breathlessly wait to see if the groundhog is scared into six more weeks of hibernation by the sight of his shadow. This tradition reveals one constant truth, the universal desire for spring. The Bible refers to the Passover festival as Chag Ha'Aviv, the Holiday of the Spring. Because the Jewish calendar is based on the lunar cycle, however, the months drift out of season* and an extra month is occasionally added to the calendar to balance it. Before the creation of the fixed calendar we use today, it was up to the sages to determine which years would warrant an extra month in order to guarantee the celebration of Passover in the spring. The Talmudic tractate Sanhedrin discusses at length the rules guiding the sages decision, such as “The year may not be intercalated** before Rosh Hashana, and if it is intercalated, the intercalation is invalid” (Sanhedrin 12a). 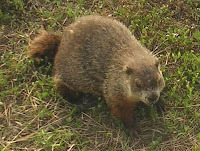 Since the sages did not have Punxsutawney Phil to help them determine how long it would take until the arrival of spring, and the land of Israel is not one known for its dramatic winters, the sages had to evaluate the coming of the spring based on the ripeness of different crops and other signs of nature. It is interesting to note that the sages were also permitted to take into consideration practical issues such as intercalating "where it is necessary either for [the improvement of] roads or for [the repair of] bridges..." (Sanhedrin 11a). *Note this year’s “early Passover” will begin on the evening of March 25th. Next year will be a leap year on the Jewish calendar, so Passover will be celebrated in April. As we enter the last months of winter, remember that a smile is an excellent way of sharing warmth.